Unique new style fairy/tree light made from 240v strip light with 6mm x 8mm BS caps. 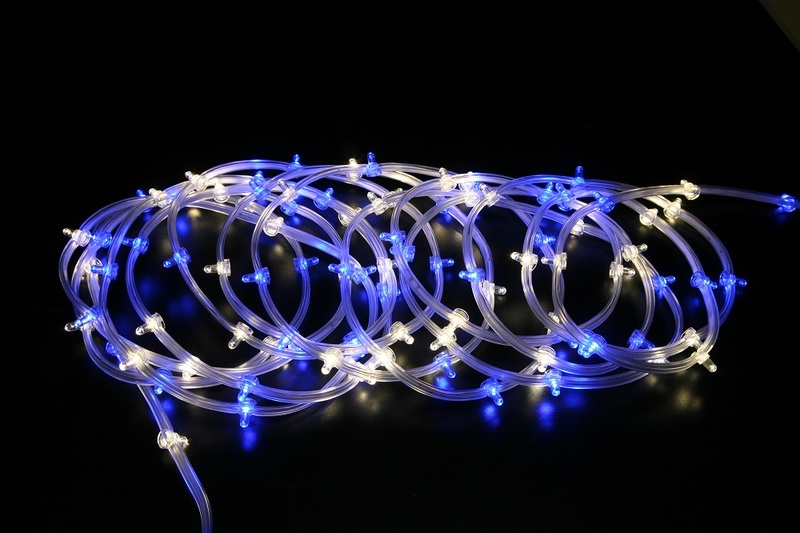 This light is connectable and can be used to wrap around trees or decorate your home. Commercial quality. Indoor and outdoor use. Great for Councils to decorate trees in parks as well as home use. The light colour for this item is blue and white. This item will not be available until mid October 2014. Pre Order to save 15% off this product.